I've long called for a rebranding of exercise to promote it on the basis of all of its incredible benefits, and explicitly not in the name of weight loss. While on paper there's no doubt that people can lose weight through exercise (and in research studies too), in practice they generally don't. And though there's also definitely the suggestion that exercise helps to keep weight off (or serves as a marker or inspiration for maintaining a whole slew of weight responsive behaviour changes), when it comes to public health, I believe focusing on weight loss as the outcome of choice in exercise interventions risks those interventions' dissolution when weight loss doesn't occur. 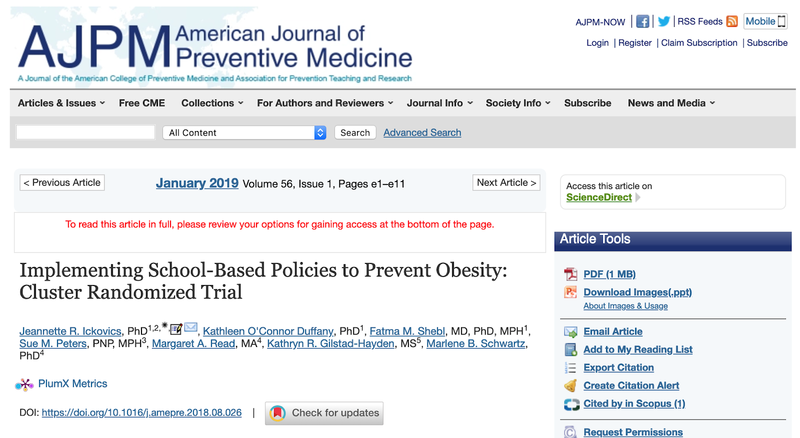 The study found that while school based nutrition policies seemed to have an impact on weight over time, school based physical activity policies didn't. Not measured of course, or at least not mentioned, were the impacts those physical activity policies might have had on other health related parameters (blood pressure, blood sugar, non-alcoholic fatty liver disease, mood, sleep, attention, learning, physical literacy, and more) - things that I think the literature would support as being far more likely to see exercise-related improvements. 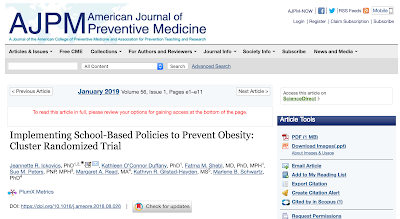 "This cluster randomized trial demonstrated effectiveness of providing support for implementation of school-based nutrition policies, but not physical activity policies, to limit BMI increases among middle school students. Results can guide future school interventions." Suffice to say I think it'd be an incredible shame if results like these guide any future school related physical activity interventions, as the benefits of exercise are myriad, something these results wholly ignore, and if these results guide anything, they'd guide the avoidance or elimination of school based physical activity policies which would let kids down on so many levels.